Avelac is a model farm and training institute for farmers with dairy cattle, situated on the roof of the Andes, at an altitude of 3600 meters. 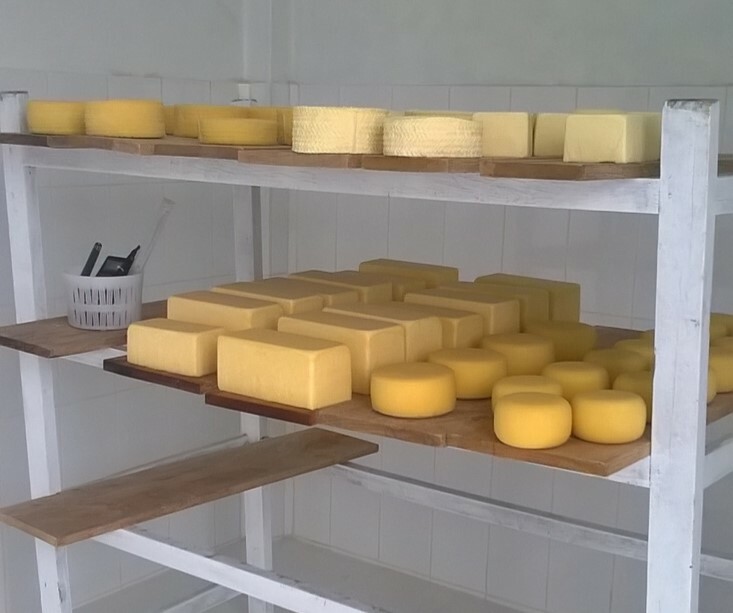 With 40 hectares of cultivated fields and 120 cows this company wants to address the demand for quality dairy cattle and helps to improve the cattle breeding in Ayacucho. They want to sell cattle of an improved breed at an honest price to the surrounding stock farmers. In order to realize these ambitious targets, the organization also calls upon external expertise. However, this stable is more than a mere cattle stable. The farm expands to a real “granja integral” or integrated farm. A real sustainable farm with different animals like cows, pigs, guinea pigs, alpacas, … , the production of cheese from the own produced milk, different organically grown crops such as quinoa, cañihua, kiwicha, tarwi, … , own composting production and floriculture. As a concrete example the milk of the farm is processed in our own little cheese factory. This puts cheeses on the local market under the name of ‘Montefino’. These cheeses – Gouda, Edam, Mozzarella, Queso Paria, Queso Fresco (some sort of cheese spread) – are well received. It is important now to improve the sales process. As you can see: an integrated, global, sustainable and ecological farm. Where everything is linked together. Where everything is one entity and one element needs the other in order to be able to operate on an autonomic basis.